Penn Charter's Strategic Vision articulated a "green" strategy for the school — and that initiative is well under way. These pages demonstrate some of the exciting work in classrooms and clubs. In addition, with the completion of a facilities energy audit in 2014, Penn Charter has improved energy efficiency whenever possible: motion-sensor lights in most classes; new, efficient lighting in all gyms; and further reductions in our use of the steam boilers. We also planted the garden beds in front of the Kurtz Center with native plants; in turn, the native plants will provide food and habitat for native insects and birds on campus. Our Environmental Committee members are Beth Glascott, Orit Netter, Jennifer Chernak, Tom Rickards, Bill Quinn and Kaitlyn Norton. Environmental stewardship is a charge taken up by many educational institutions, and that work is highlighted in the National Association of Independent Schools article, How America’s Schools Are Going Green — and How Yours Can, Too. Click the photo below to read about Penn Charter's certificate program in Environmental Stewardship and Sustainability. First graders already know a lot about recycling. They are the class that collects recyclable materials in beautifully marked bins in the Lower School lobby and the Dining Hall – curious materials like discarded toothbrushes, markers and juice pouches. The Upper School Green Club also knows a lot about recycling. Recently, the club visited the offices of TerraCycle, in Trenton, N.J., a company that upcycles, or repurposes, the materials that the first graders collect. Before their visit, first grade teachers gave the Green Club a list of burning questions from their young students. What does TerraCycle look like? What are the things that they make? Are their desks messy? The Green Club brought answers back to first grade. Green Club members Tate Miller, Sylvia Miller and Pamela Gonzalez showed photos and helped answer first graders' questions. Nothing in the TerraCycle offices is new: tables are made out of doors (with working doorbells good for getting someone's attention! ), couch cushions used to be mail carriers' mailbags, the flooring is a school's discarded athletic turf, Adirondack chairs were made from melted-down toothbrushes and juice pouches. TerraCycle makes and sells bags, clothes, notebooks, shoes, pencil cases, even a watering can from cigarette butts. As for the workers' desks, some are neat, some are messy, just like in first grade. Lisa Turner, an Upper School teacher and friend of the Green Club, explained to the students that plastic comes from petroleum, which comes from the ground. "Seems pretty disruptive, doesn't it?" she asked. Students agreed that it's far better to recycle plastic than make new. The Green Club has participated in the Green Cup Recycle Challenge, a four-week competition designed to improve recycling compliance rates in schools. In 2013, PC earned the Recycling Heroes designation, the highest rank. Club members surveyed recycling and trash bins, calculating the “percent correct” — which means no trash in the recycling bins and no recyclables in the trash bins — and submitting this data to the competition database. They gave first grade an update: Penn Charter got off to a strong start but then backslid a bit. But first graders are doing their part; they work to educate the community about their upcycling project by stationing themselves near the Dining Hall waste area to remind older students that snack bags and juice pouches (as well as writing instruments, diaper packaging and oral care products brought from home) belong in the specially marked bins — not in a landfill. Updated article first published on Nov. 24, 2014. Compost: This includes all food waste, including leftover carbs like breads and noodles, veggies, meat, eggs, dairy, half-eaten cookies. Only food waste should be deposited into the green compost bin. Recycling: We have single-stream recycling, which means one bin is for all the recyclables: plastics (numbers 1-7), paper cups and plates, cardboard, aluminum, tin cans and cartons (milk, juice). Empty contents in the compost prior to disposing of the recycling, please; but even with food or drink residue, these items can still be recycled. Trash/Landfill: After disposing of compostables and recyclables, there shouldn’t be much left! Items to deposit in this bin include plastic bags, used tissues and napkins, foam containers, heavy wax or greased paper products. Note: all of our cups are recyclable! Tell us about the locally sourced food you serve and why that matters. CulinArt sources fresh produce and products from over 10 local farms in Pennsylvania and New Jersey. This is important because it allows us to serve your children the freshest product available while also reducing our carbon footprint and supporting our local economy. Our farms include: Weaver’s Orchard, Meadow View Farm, Dusty Lane Farm, Mother Earth Organics, Emerick’s Pure Maple Products, Pequea Valley Farm, Sandy Ridge Farm, Koch's Turkey Farm and Thistle Creek Farm. We even utilize Penn Charter-grown produce when available. We purchase from two companies that deliver local foods: Common Market and Snack Like a Local – both are based in Philadelphia. How does the composting work? CulinArt composts all of the food waste from kitchen production, and students and faculty compost all of the food waste from their meals. The food waste is collected in bins located in the kitchen and dining hall. Each day those bins are emptied into larger bins that are stored outside (with animal/pest proof lids) by CulinArts utility staff. Once a week these bins are emptied by our compost company, Organic Diversion, which is located in New Jersey. Organic Diversion turns our food waste into usable compost. Last September we were at 3.32 tons of food waste composted (which is amazing) and that was only from the kitchen. This year that number should double with the implementation of the dining hall composting. Also, every morning [science teacher] Tim Lynch comes to the kitchen for vegetable and fruit scraps to feed his two tortoises – their favorite is strawberries. Has the single-stream recycling been a game changer? How good are we at not throwing recyclable materials in the trash? What can we do to improve? Although overall recycling participation has improved, we still find plastic bottles or plastic take-out containers in the trash. Things that are helpful are peer support for recycling (which there is a lot of here at PC, especially among the younger students), overall slowing down and paying attention to insure the waste is going in the correct bin, and making better choices for your environment – for example, if you are eating in the dining hall you do not need a plastic to-go container, choose a reusable plate, reusable cup, and metal cutlery. 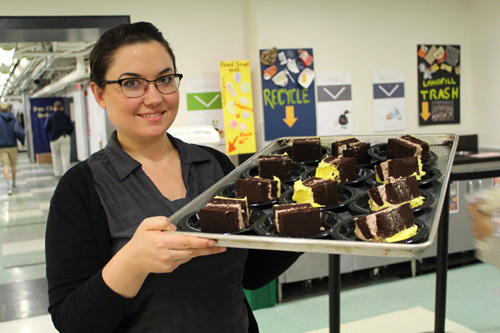 Does the first grade Terracycle initiative support the dining hall's sustainability efforts? Yes, Terracycle directly supports CulinArt's sustainability efforts. It significantly reduces the amount of trash and it excites the younger kids about environmental stewardship. If you could have any pie-in-the-sky feature or initiative in the dining hall to support our sustainability efforts, what would it be? 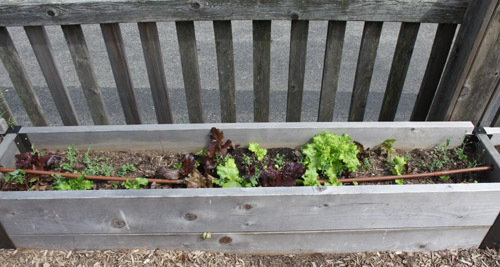 My hope would be that campus gardening increases and that CulinArt would be able to utilize mostly PC grown produce during the available months. It would be great to show the students how to prepare and serve something they grew with their own hands. The kindergarten playground is more than swings and jungle gyms. It's also the promise of bringing something to fruition – a hands-on, cooperative curricular experience that promotes food awareness and environmental stewardship. The eight garden beds are tended – from seed planting to harvesting – by students in kindergarten, pre-K and first grade, as well as students entering kindergarten, who are introduced to the beds during the kindergarten Welcome Picnic. In 2016, the young gardeners have planted peas, radishes, carrots, marigolds, sunflowers, pumpkins and lettuce – so far! In the classroom, students have learned what parts of plants we eat and will soon be enjoying radish sandwiches from their harvest. Teachers and students will plant squash, cucumbers, watermelon and broccoli to grow over the summer and plan to harvest them in the fall. Witnessing this during our rainy and cloudy May, students learned that plants need lots of sunshine to grow, so the harvest has been small. "We hope to harvest the sunflower seeds for the birds, and taste all the other plantings during our five senses unit," teacher Candy McGuire said. "We chose flowers that attract butterflies and bees, and in the fall the children like to cut them for table decorations! We will use the pumpkins in math in the fall, measuring them in different ways, and we'll read and write about pumpkins in our language arts curriculum, as well as carving one or two for Halloween!" The new "crop" of kindergarten students will plant more seeds, like squash and zucchini, when they come to school in the fall. 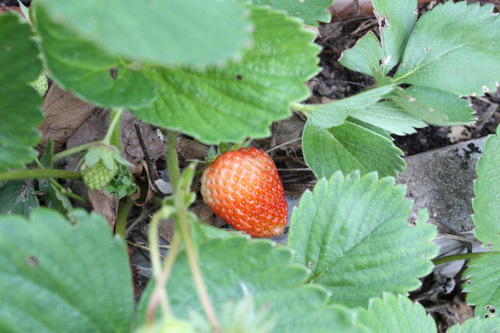 Last summer, the abundant harvest was used by the kitchen and a food center that is a PC service partner. Fingers crossed for this year! View a presentation from members of the Upper School Environmental Ethics class about sustainable food practices. No, and including them in your bin can actually jam up recycling machines and disrupt the whole process. But don’t fret! You CAN recycle them elsewhere. The easiest option is to drop them in a designated bin, at the entrance of most grocery stores, home improvement stores, pharmacies and other retailers. You can double-check where the nearest drop-off center is before heading out with a bundle of bags. Not in your bin, but it can be recycled along with those plastic grocery bags at participating drop-off centers. If there are no drop-off centers near you, you still don’t have to trash it. Try reusing it, or get crafty and upcycle it. Released on March 22, 2010, (World Water Day), this video tells the story of manufactured demand—how the industry induces Americans to buy more than half a billion bottles of water every week when water already flows from the tap. 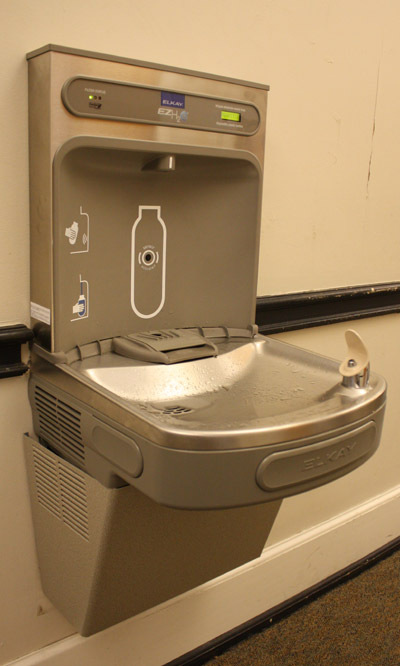 Penn Charter has water stations in the dining hall and bottle-filling stations (example at right) in the Upper School, which make it easy to fill reusable cups and water bottles and avoid the disposables. Send your children in with a reusable bottle to save money and the planet! Plastic film and bag recycling: What and Where?